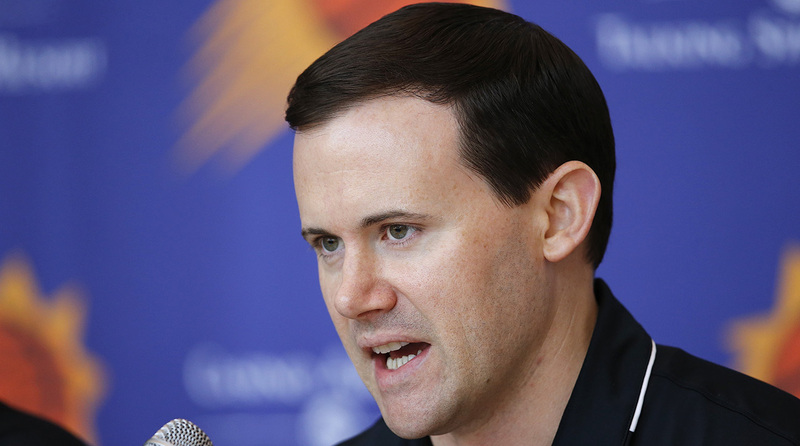 The Suns fired general manager Ryan McDonough nine days before the start of the regular season. The bizarre timing of the decision is nothing out of the ordinary for Phoenix. The Suns’ decision Monday to fire general manager Ryan McDonough just nine days prior to the team’s regular-season opener rings somewhat abrupt, if unsurprising. McDonough had been Phoenix’s general manager since 2013; during his tenure, the Suns didn’t once make the playoffs (which they’ve missed dating back to 2010). The timing of such a move clearly isn’t ideal in any way, yet somehow isn’t out of character for Phoenix, who last year fired head coach Earl Watson just five days into the start of the season. Obviously, none of this bodes particularly well for the organization, but the apparent lack of calculation points to a larger problem, one that extends beyond the general manager’s seat. Phoenix’s prolonged struggles would have justified letting go of McDonough at any point over the last couple years. The Suns racked up 48 wins during McDonough’s first season, but missed the playoffs by one game. Since then it was a downhill roll, as Phoenix was 155–255 in his time there and cycled through four head coaches, with Igor Kokoškov taking over earlier this year. Though he nailed the Devin Booker selection in 2015, hit on T.J. Warren in 2014 and walked into Deandre Ayton with the No. 1 pick in June, McDonough’s draft history was suspect on whole—first-rounders Alex Len and Tyler Ennis are no longer with the team and the early returns on Dragan Bender and Josh Jackson have been mixed. The Suns struggled to recruit talent via free agency and trades, and were due for a change. That being said, as is often the case with extended competitive droughts in professional sports, some level of blame and accountability has to fall on ownership. Surely, Robert Sarver had to have considered the potential for a management change at the end of last season and in years prior. Allowing McDonough to work an entire off-season, then making the change in October was short-sighted and potentially irresponsible. Since April, the Suns have hired a coach, selected Ayton with the No. 1 draft pick, signed Booker to a massive extension, dealt away a potentially valuable future first-rounder on draft night to add Mikal Bridges, and absorbed Ryan Anderson’s contract from the Rockets to take a flier on rookie De’Anthony Melton. Watching the Suns place all of that on McDonough’s plate, then drop the axe at such an unusual time should be a red flag for any and all candidates that might replace him. As various reports Monday indicated, Sarver is known around the league to be a heavy-handed owner, and in fairness to McDonough, it’s tough to know in retrospect which of his decisions were actually his. Perhaps the Suns’ failure to find veteran point guard help to anchor the rotation was the final straw, but it never should have come to that. Even though Phoenix can actually feel good about the young players on board, it will be hard to sustain optimism until there’s any semblance of stability here. In the bigger picture, the story isn’t McDonough, but the pattern of dysfunction.